Luke is a Research Assistant and Technician for i-DAT and for the Environmental Futures and Big Data Impact Lab. He also operates as a commissioned artist / developer and as an Associate Lecturer for the Digital Media Design course and teaches at the Nanjing University of Arts in China. 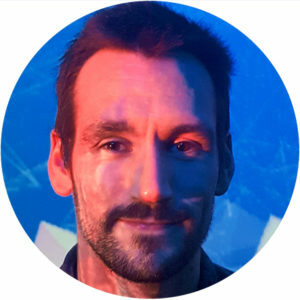 With the Impact Lab Luke specialises in 3D interactive data visualisation and science communication, working with SME’s and project partners to develop new tools and products. He is based within i-DAT’s Immersive Vision Theatre, where his research deals predominantly with interactive game technology and fulldome techniques but his interdisciplinary approach has also allowed him to deliver lectures and workshops on cosmology, physical and interactive computing, visual communication, data visualisation, graphic design techniques, animation, film, 3D modelling, projection mapping, VJing, 360 media, virtual and augmented realities.